only a great beach holiday, but also an interesting stay in and around the cultural heritage of Syracuse. Not to be missed is a boat trip on the Island of Ortigia. Perfectly positioned on a headland dominated by the Red Lighthouse, in a stunning landscape of natural beauty, reserves and crystal-clear sea, the Grand Hotel Minareto is situated just opposite the island of Ortigia, which, thanks to its history and art of which is impregnated, has become world heritage site of the UNESCO. 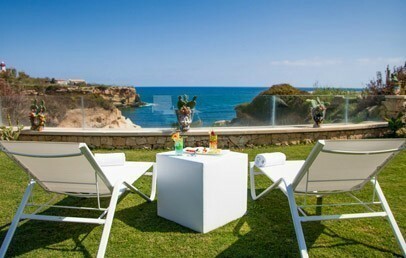 The hotel's location is strategic for visiting Eastern Sicily (Syracuse and Noto, testimonies of the Baroque heritage protected by the UNESCO, the natural reserves of Vendicari, of Cava Grande del Cassibile, of Pantalica, the Island of the Correnti, Piazza Armerina, Modica, Ragusa, Catania, Mount Etna, Taormina). The hotel is approx. 7 km from the historic center of Syracuse, the nearest airport is Catania-Fontanarossa at ca. 60 Km. The structure of the Grand Hotel Minareto covers an area of 25,000 square meters, inside the protected marine area of the Plemmirio. The hotel consists of a central building in which we find the reception and other services, set apart we have the restaurant and several buildings with the rooms, all with private entrance which is reached through a network of trails. The hotel has three different access to the sea which allow guests to enjoy the sandy beach and the rocky bottom of the cliff which offers a magnificent view of the clear sea and vegetation. This luxury hotel offers its guests a refined and elegant setting, where the references to the Arabic style can be found in the luxurious pieces of furniture and of course in certain parts of the structure. It is a hotel recommended for a romantic weekend but also for those who happen to be in Syracuse for a business trip. The 96 rooms of Grand Hotel Minareto are surrounded by lush vegetation including olive trees, carob and palm trees. The rooms have their own entrance, which provides the right privacy, and have large balconies or terraces furnished with chairs and tables. The three styles Harmony, Romantic and Decò used to furnish and decorate the rooms make them all special and able to satisfy the different customers' tastes. All have sufficient space and equipment to provide the comfort and relaxation the guest needs during the stay. The rooms at the Grand Hotel Minareto also offer free internet access through an interactive LCD TV. The rooms are divided into different categories. For guests who are looking for an accommodation with more privacy and a large living spaces the beautiful Suitest Suite suits best. The Spa of the Grand Hotel Minareto includes sauna, Turkish bath, emotionale shower, Jacuzzi - it can only be booked for exclusive use, for 1 hour / 1 hour and half. The cuisine of the Grand Hotel Minareto plays a key role: the dishes prepared by the chef refer to the Mediterranean culinary tradition reinvented with care and originality with the use of local produce and wholesome flavors. The chef offers special dishes and desserts with combination of flavors that we would never expect to be able to find or eat. These are served at the restaurant Nesos, a room decorated with elegant wood paneling and marble floors and, in summer, even at the Roof Garden, the rooftop garden which overlooks the bay. The hotel's offer is completed by the Sicily Bar, which offers in the pool area light food and of course the typical 'Sicilian granite', the Minareto Bar with its beautiful terraces and the Lobby Bar, the lounge where to enjoy a drink immersed in a refined and relaxing atmosphere. The Grand Hotel Minareto has a shuttle service reserves to the hotel guests, with a fixed timetable, connecting the hotel to the historic center of Siracusa (Ortigia). Other services include: roof garden, 4 meeting rooms, lobby bar, pool, free parking place. Small pets are allowed (on request and with supplement). Double rooms, special and different from each other. 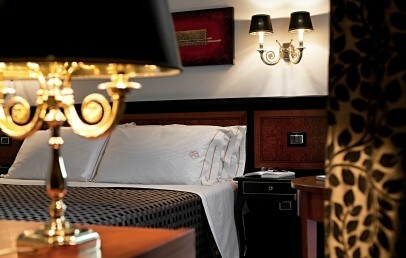 Furnished in three styles Harmony, Romantic and Decò, they are equipped with satin sheets and soundproof wood doors. The marble bathroom provides complimentary toiletries by Transvital and hairdryer. All Classic rooms have their own entrance and are surrounded by lush vegetation. Double rooms, special and different from each other. 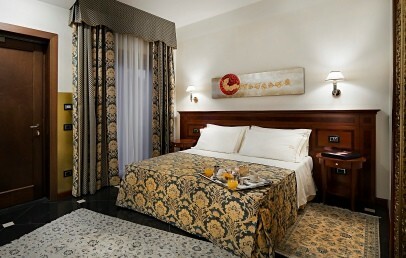 Furnished in three styles Harmony, Romantic and Decò, they are equipped with satin sheets and soundproof wood doors. They consist of a lounge area with table and easy chairs. The marble bathroom provides complimentary toiletries by Transvital and hairdryer. All Superior rooms have their own entrance and are surrounded by lush vegetation. Large Suites decorated by the famous Tuscan architects Roberto and Filippo Bacci. They are characterized by satin bed linen, soundproof wooden doors, precious paintings and Persian carpets. 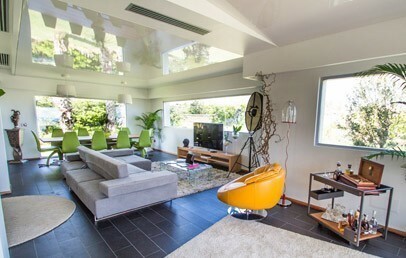 They consist of a spacious and comfortable lounge area with sofa, table and easy chairs and a laptop with free internet connection. The marble bathroom provides complimentary toiletries by Transvital, hairdryer and bathrobes. 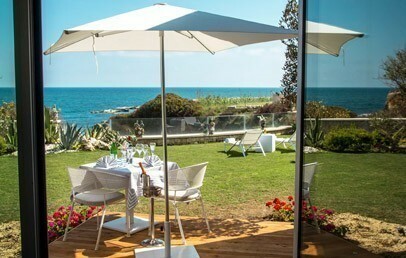 The Suites have their own entrance and a fully equipped balcony with sea view. A luxury Suite with direct access to the private sandy beach, belonging to the “Plemmirio Marine Reserve” and with a wide garden around the house of 180 sqm with panoramic sea view. The Suitest Suite offers 160 sqm in-house area with an open space living room with full equipped kitchen and furnished in a modern style and characterized by large glass-walls. It offers 2 bedrooms, each with a private bathroom and further a separate guest toilette. The Suite has an indoor Jacuzzi with sea view. Guests can access to the Resort through a gate which distance only 50 m away and can benefit of the several services of the Resort.